Productivity is generally improved when users are standing at an ergonomically designed workstation. However there are some tasks which do benefit from a sitting position. Height adjustable workbenches offer the user the flexibility to either sit or stand during their working day. This choice is either based on their comfort or determined by other factors such as the size and weight of the object they are working with. 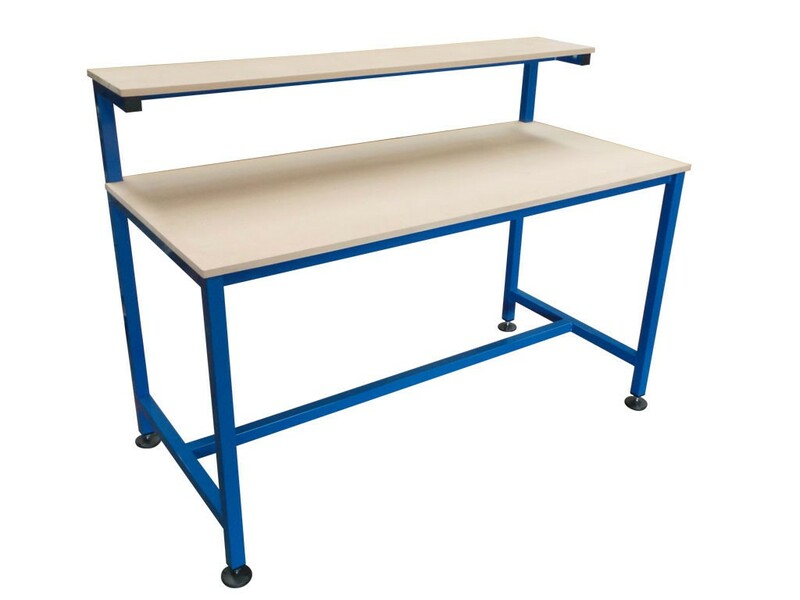 This type of workbench, means that you no longer need two separate workbenches for jobs that require standing and those that require sitting. Height adjustable workbenches are versatile enough to handle both tasks, and everything in between. Bespoke height adjustable industrial workbenches, offers users the perfect solution for your processes. Developed and manufactured to suit your specific needs and requirements. The heavy duty ergonomic design, ensures the workstations are not only productive, but robust and durable. Giving the additional benefits. Such as increased productivity and better ergonomic user position over basic benches. 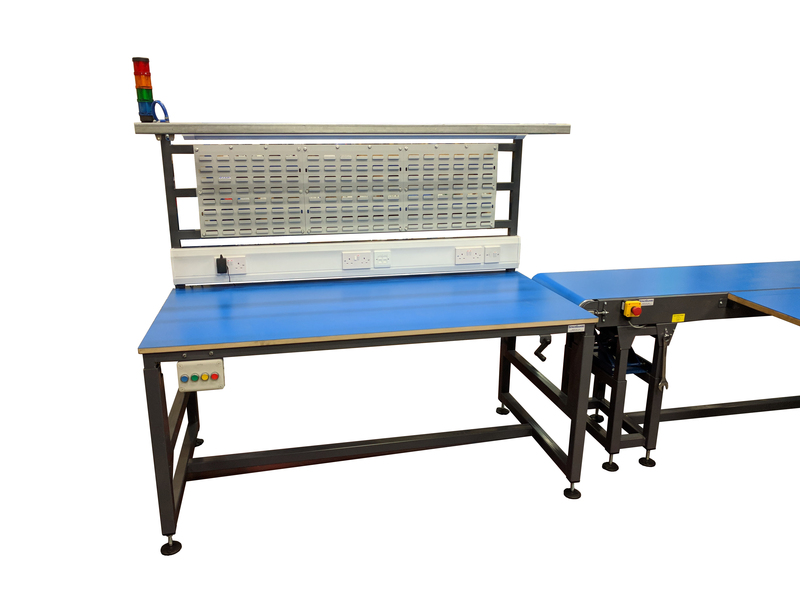 Using bespoke workbenches, give increased process profits. Simply contact our sales team to discuss your requirements. 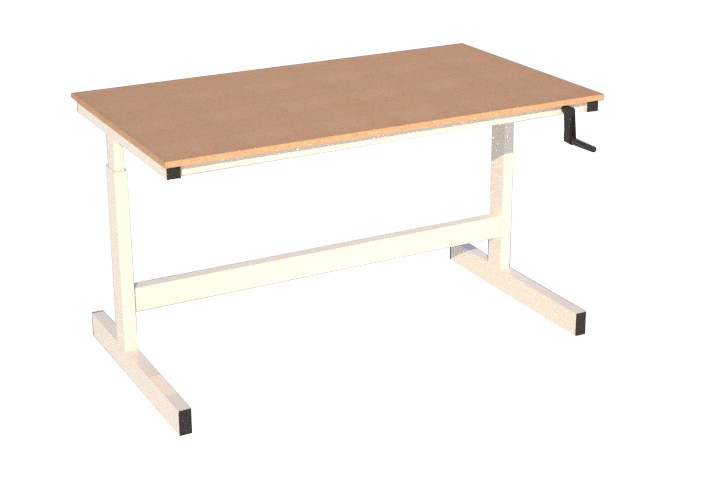 Height adjustable workbenches are simple and safe to adjust the height. 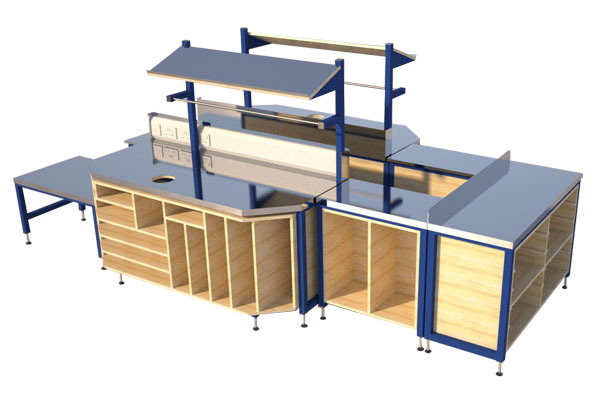 Spaceguard workbenches are designed for industrial & packing process use use in demanding assembly areas and workshops. The height adjustable, coupled with the efficient bench design and layout also aim to be employee-friendly and ergonomic. Spaceguard manufacture durable industrial workbenches, with options for the additional adjustable flexibility. There are 3 different mechanisms available to adjust the working height of the bench between its various heights. Perhaps the simplest and most cost effective option you can choose is the allen key height adjustment mechanism. When the screws are loosened, at intervals down the edge of the bench legs, the height can be adjusted. Then when tightened again they keep the new level firmly in place, ready for work to resume. The second option is adjustment via a manual hand crank. All you need to do is turn the conveniently placed hand crank clockwise or counter-clockwise to raise or lower the workbench to the desired height. The third way (and most efficient) of adjusting the workbench height is by using an electric motor. Simply press the easily accessible up and down buttons to achieve the perfect working height for your current job. This is the quickest and easiest way to change the workbench height and keep production moving. 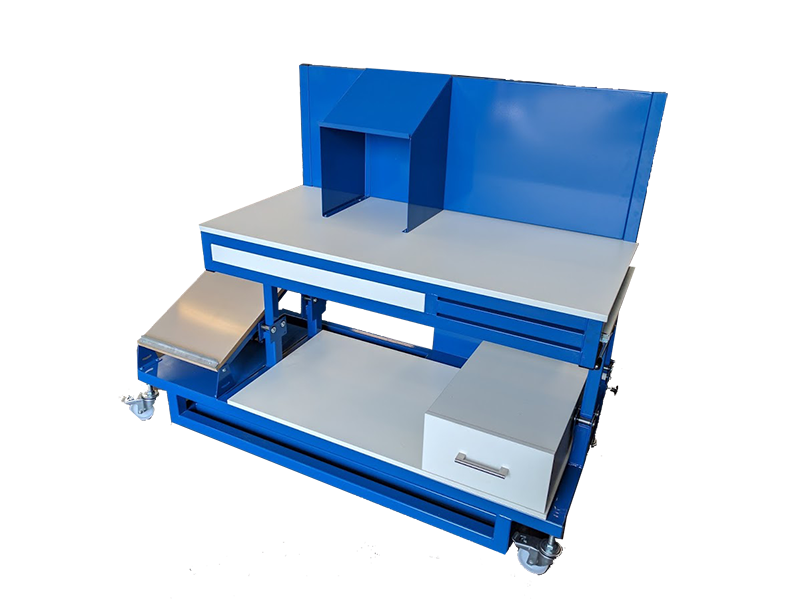 Spaceguard manufacture a range of standard and bespoke, height adjustable workbench products. 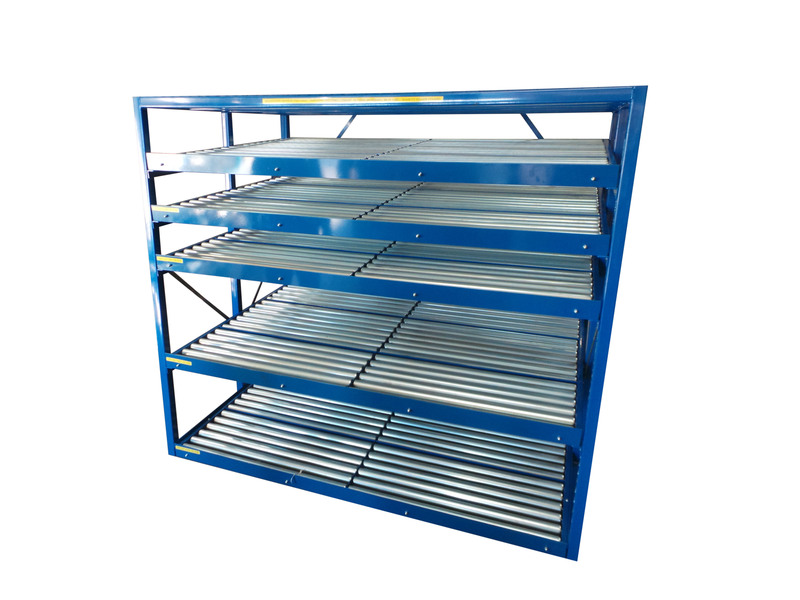 Ideal for applications where varying heights are required. Weather assembly and testing, educational use, packing or fulfilment processes. Along with multi use worktables. 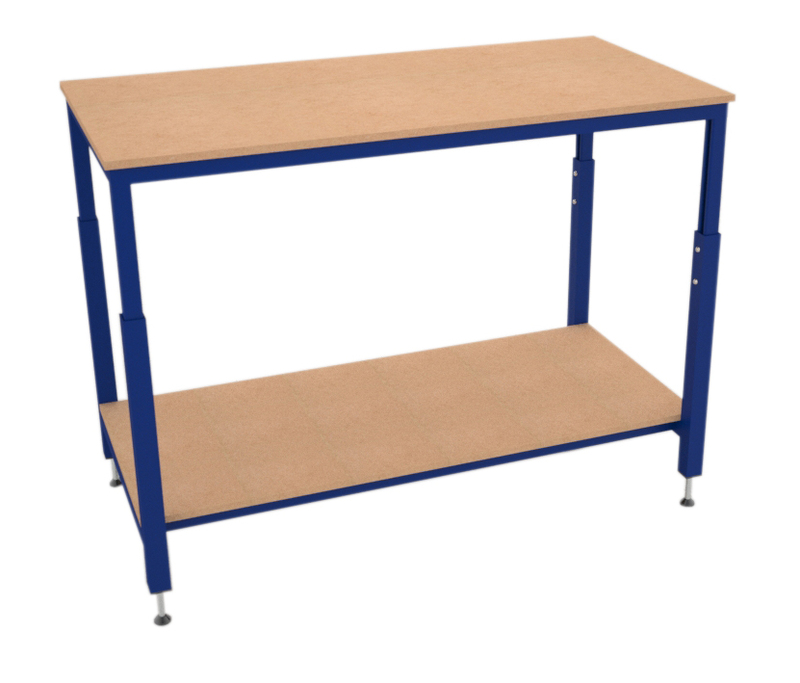 From our UK based manufacturing site Spaceguard height adjustable workbenches are robust and built to last. From manually adjustable with tools and pins, through to winding handle or electrically operated. 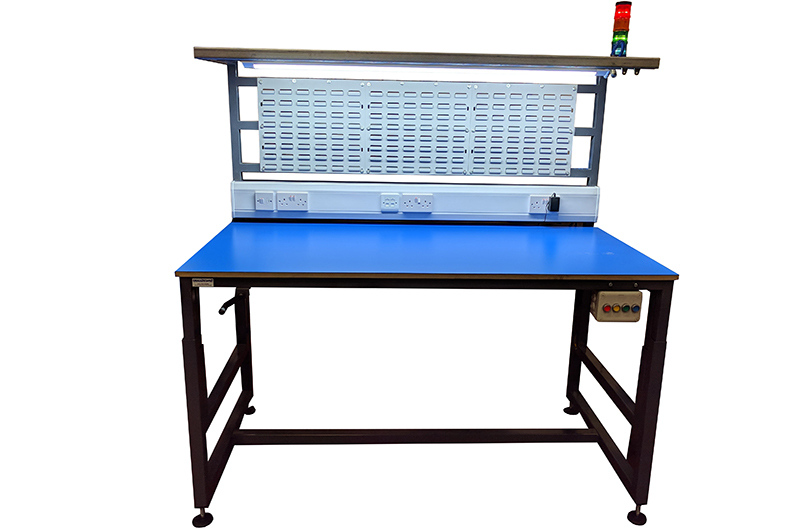 Spaceguard have an height adjustable workbench to suit your needs. Work bench products from Spaceguard are ideal for a wide range of uses from simple ergonomic workstations to fully Lean process applications. Using height adjustable workbenches should show a decrease in absences and improved production due to improved ergonomic positioning. Our wide of standard and bespoke manufactured range of industrial workbenches are designed to turn demanding workspaces into ergonomic productive environments. Our ranges of Industrial Workbenches and our Height Adjustable Workbenches have bespoke process design with optional accessories to further improve them. From useful bench storage, to keep necessary items at hand, to additional lighting, IT equipment, weighing & Automation equipment. 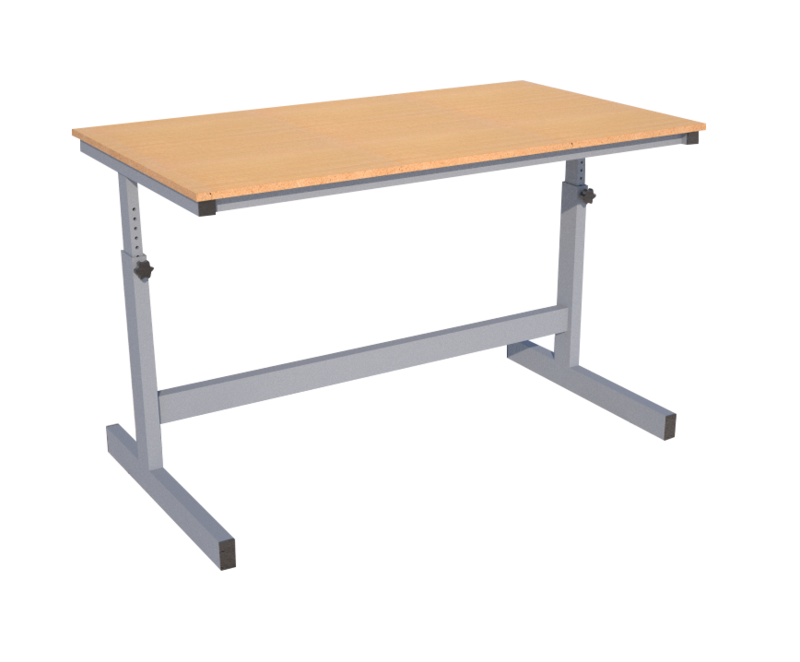 The addition of over workbench accessories create a comfortable vertical working area and the adjustable arms can be used to make sure that the reach zone is not too large. This ensures that the users aren’t over stretching to reach parts or tools and will help them avoid any repetitive strain over time. Using height adjustable workbenches in combination with their accessories can create the perfect ergonomic area, specifically designed for your workspace process. This will lead to both improved productivity and an increase in the consistency and the quality of your end product. 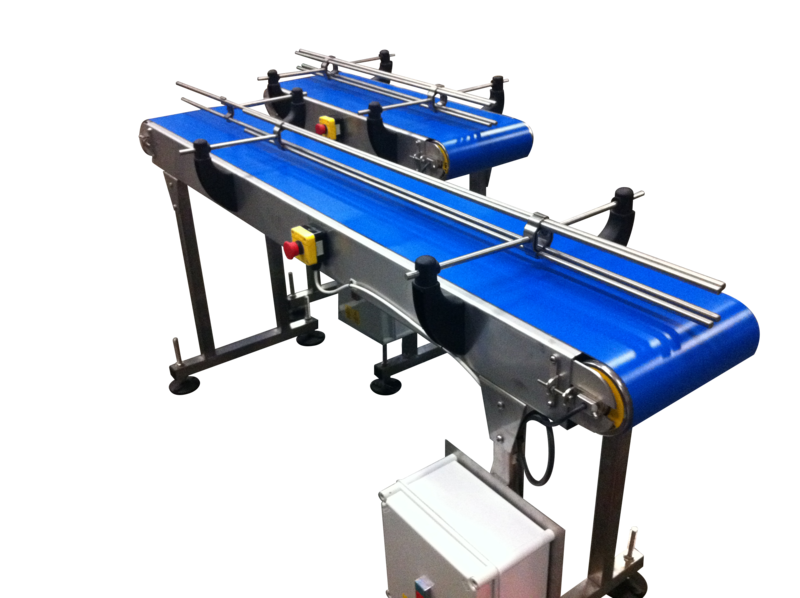 Increase productivity with Height adjustable conveyor workstations. Other products manufactured by Spaceguard include.